A lot of the latest cards from the Yu-Gi-Oh! ZEXAL anime and manga as well as the Yu-Gi-Oh! D Team ZEXAL and Yu-Gi-Oh! 5D's manga. Contains cards used by Yuma Tsukumo, Trey, Quattro, Leo and Luna. Provides new members and support for the "Chronomaly", "Duel Dragons", "Gimmick Puppet", "Zubaba" and "Utopia" series/archetypes. EFFECT: If this card is in your Graveyard: You can banish 1 other "Gimmick Puppet" monster from your Graveyard; Special Summon this card from your Graveyard. 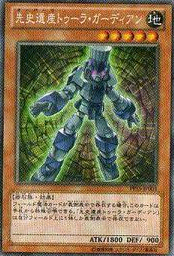 You can only use this effect of "Gimmick Puppet Dreary Doll" once per turn. 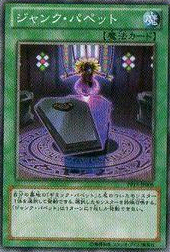 This card cannot be used as an Xyz Material, except for the Xyz Summon of a "Gimmick Puppet" monster. EFFECT: If your opponent controls a monster and you control only "Gimmick Puppet" monsters, you can Special Summon this card (from your hand). EFFECT: If there is a Field Spell Card face-up on the field, you can Special Summon this card (from your hand). You can only control 1 face-up "Chronomaly Tula Guardian". 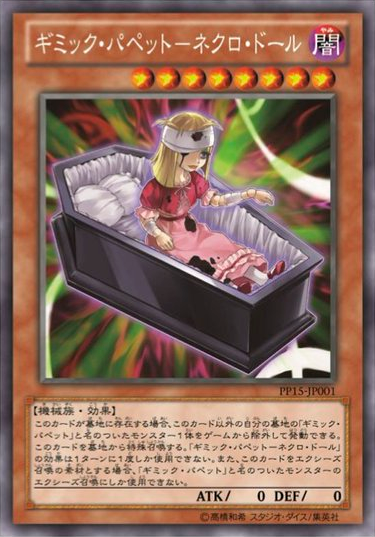 EFFECT: If this Xyz Material is sent to the Graveyard to activate an Xyz Monster's effect: You can Special Summon 1 Level 3 or lower monster from your hand. During your turn, when an Equip Spell Card equips to this card: You can draw 1 card. You can only use this effect of "Power Tool Mecha Dragon" once per turn. 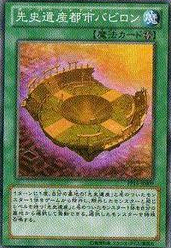 Once per turn, during either player's turn: You can target 1 face-up Equip Card on the field that can be equipped to this card; equip it to this card. During your turn, when a Field Spell Card is activated: Draw 1 card. You can only use this effect of "Ancient Fairy Dragon" once per turn. 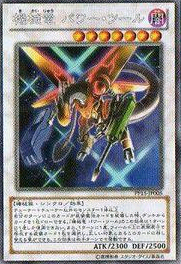 Once per turn, if there is a face-up Field Spell Card on the field: You can target 1 face-up Attack Position monster on the field; destroy it. 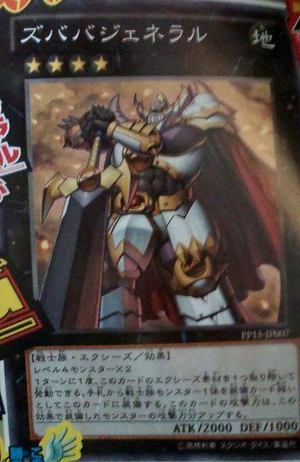 Once per turn: You can detach 1 Xyz Material from this card; equip 1 Warrior-Type monster from your hand to this card. This card gains ATK equal to the ATK of the monster(s) equipped to this card by this effect. EFFECT: Target 1 "Gimmick Puppet" monster in your Graveyard; Special Summon that target. You can only activate 1 "Junk Puppet" per turn. EFFECT: Once per turn: You can banish 1 "Chronomaly" monster from your Graveyard to target 1 "Chronomaly" monster in your Graveyard with the same Level; Special Summon that target. Nothing really caught my eye, all cards seems decent although I liked the fact that konami Finally produces synchros (love the drawing part), hope konami keeps up their good work. personally im really looking forward to the gimmick puppet archetype cuz i think they are like really cool. i think chronomaly is getting a lot oof support and may become tier 1. also the utopia cards i feel can be really powerful especially with the equip cards but if u get rid of it then you've basically won.